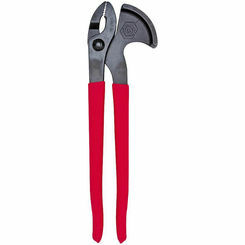 Save a bundle on pliers online here at PlumbersStock. 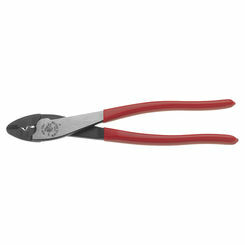 We have all the best hand tools and that includes pliers, which are essential to many jobs. Your project will determine the ideal type of pliers to use, but most of them have crossover capability. One of the most versatile tools you can own are pliers. PlumbersStock offers a wide variety of options from trusted manufacturers like Milwaukee, Greenlee, Malco, and Channellock. 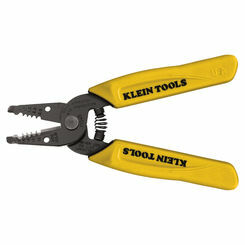 Pliers are essential and no toolbox is complete without them, so find your discount pliers here. This tool has had the same general design since its origin. All types have a pair of handles, a pivot (which is usually in the middle section), and a head with jaws. 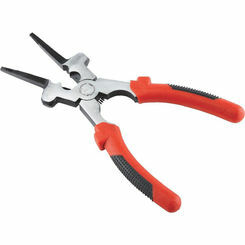 What most distinguish the various kinds of pliers are differences in the head and jaws. 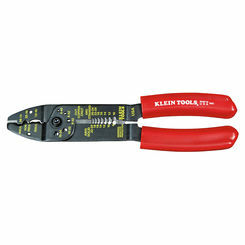 The job type will determine the best pliers to use. There are 3 types of slip joint pliers. 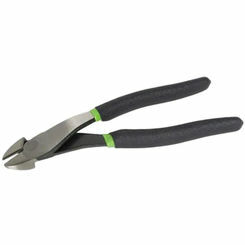 First of all, standard slip joint pliers are used for simple open shut applications. 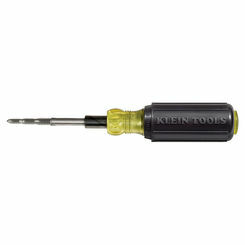 Adjustable slip joint is similar to the standard open shut pair but has a 2nd position for slightly larger applications. 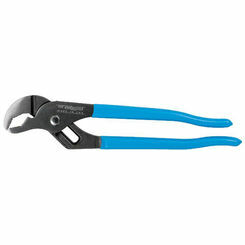 Groove lock pliers, which are also known as tongue and groove or channel locks, are designed for larger applications. The wide mouth and adjustable pivot points maintain the handles proximity ensuring a tight grip and a well leveraged hold. 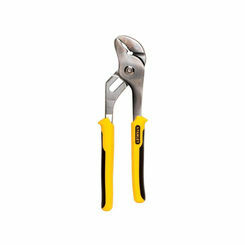 If you tend to do a lot of electrical work, you will need some Lineman's pliers (commonly referred to as side-cut).These are used mostly for gripping, pulling, twisting, bending and cutting wire. 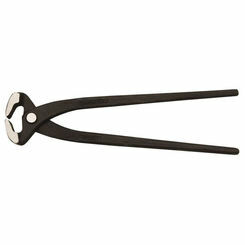 Like the needle-nose pliers, these are great due to their many different abilities but they offer a wider jaw. They also come with grips to allow better handling. They are also insulated to prevent electrical shock when working with live wires. 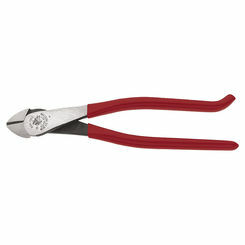 For jobs that require you to grab small wires, bend them, or cut them, it is recommended that you use the needle nose pliers. They provide great control and can reach into tight places to work with delicate wiring jobs. They also give you the opportunity to cut when needed. 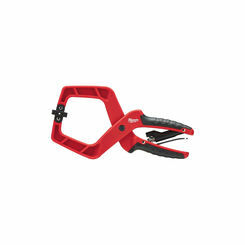 Snap-ring pliers are used to remove and install snap rings found commonly in internal combustion machinery. 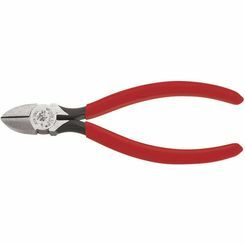 Though you may be able to bend a hog ring with various types of pliers, specially made hog ring pliers are ideal for the task and will save you a lot of precious time if you need to perform this task regularly. Some jobs require you to grip onto an item but need both hands to do something else. This is when locking pliers, or maybe better known as “vise grips”, become handy. These pliers have a locking jaw where you can set the size you want the jaws to be, you then place them over the item and squeeze the handles together. This then locks the tool onto the item until you release it with the release lever on the inside handle. 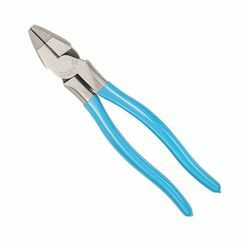 In addition to having the ability to secure and cut objects, as well as tighten and loosen bolts, pliers are also used to crimp metal and strip wires. 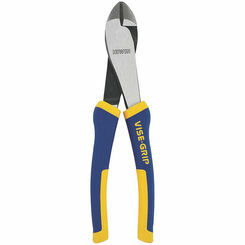 The crimp tool pliers are used to join two pieces of metal or other material by deforming one or both to hold them together. The deformity is called a crimp. 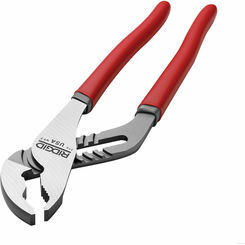 You can crimp many different things but the major use for the crimp pliers is to adjoin to wires together or put metal to metal to form a strong bond.  Here at PlumbersStock, we sell a seemingly endless supply of wholesale tools to help you get your project done right the first time. 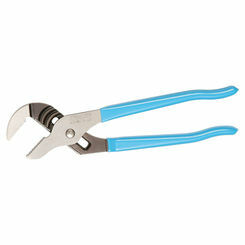 Contact us if you need any help finding the right pliers online for your needs.